This section Helpful Tips is all about Frequently Arising Questions. Shri Shri Anand Guruji, shares the knowledge on general topics and Hindu Sanathana Dharma in his Pranavam Television Programme telecasted in ETV Kannada Channel, which i have put in this section. Guruji also shares information of knowledge on Vasthu Shastra and lot of Helpful stuffs. Many People have lot of doubts on Hindu Sanathana Dharma, which is also covered in this section. Light and place two lamps in entrance of main door and near Tulsi Madam (A kind of cement structure in which tulsi is planted) if available, everyday to avoid yantra prayoga (Evil) entering home. People follow this only during festival of lights i.e Diwali, but it should be followed everyday. 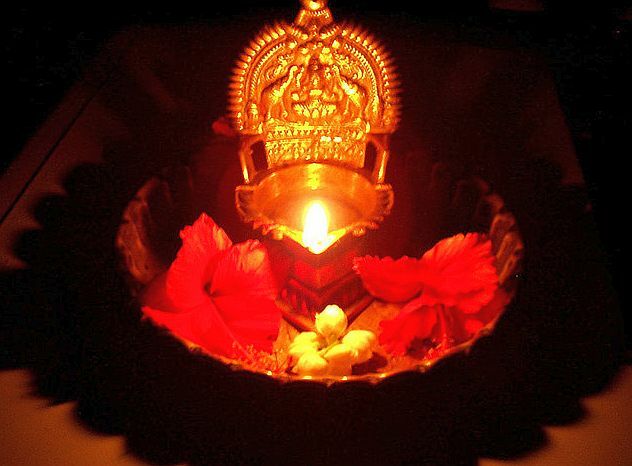 What is Akhanda Deepa and Can we light Akhanda Deepam at home? At home we usually have Nanda Deepam or Kamakshi Amman Vilakku (Traditional Lamp). Akhanda means nonstop. The Deepam or Diya is lit in most of the Hindu houses, morning & evening. Some have special pooja rooms & they have this Diya lit forever. They see to that this Diya is never put off. Many temples & places in South India has this Akhanda Deepa. It signifies God's presence, light itself is the God. Yes, we can light Akhanda Deepam at home. From what I know is having a lit deepam like Akhanda deepam is very auspicious to home because it signifies the divine presence in the form of light. Always use few drops of Ghee (Neyyi in Tamil ; Tuppa in Kannada) in the food you consume. This Ghee will break any dosha in the food. Thank You Good information for us. Dr. Shri Anand Guruji is coming in ETV Kannada not in Zee Kannada. Can u post Sri Sri Ravishankar Guruji Programme telecasted in Zee Kannada Channel 9am to 10am.